Bethesda Terrace, Looking West, Central Park, ca. 1878. Augustus Hepp. The Bethesda Terrace, conceived as the “heart of the park,” was designed by Calvert and Vaux. Angel of the Waters was designed by Emma Stebbins, the woman to receive a public art commission in New York City. Boathouse, Looking towards 5th Avenue and 72nd Street, ca. 1878. Augustus Hepp. The boathouse was located on the southeastern shore of the lake. It was a sprawling wooden Victorian structure with terraces on the second floor. Designed by Calvert Vaux and Jacob Mound, it was completed in 1873 and was replaced by the current boathouse in 1954. The Metropolitan Museum, ca. 1878. Augustus Hepp. 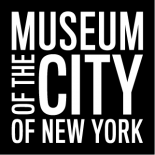 The museum opened in 1880 and has been renovated and expanded many times by such well know architects as Richard Morris Hunt and the firm of McKim, Mead and White. This entry was posted on April 12, 2016 by Sean Corcoran in Digital Project, Photography Collection and tagged 19th century, Augustus Hepp, Central Park, Cyanotypes, outdoor spaces, urban planning.